It was one of those Saturdays that we wanted to try something new, something out of the ordinary, something we’ve never had before. Because we just came from a doctor’s appointment at Makati Medical Center, it figured that we’d have lunch somewhere near. 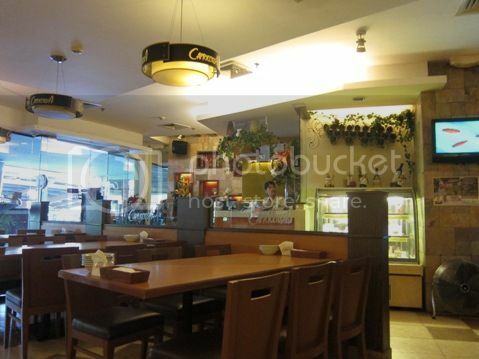 We found ourselves venturing into unfamiliar territory, a restaurant that offers Italian food: Capricciosa. 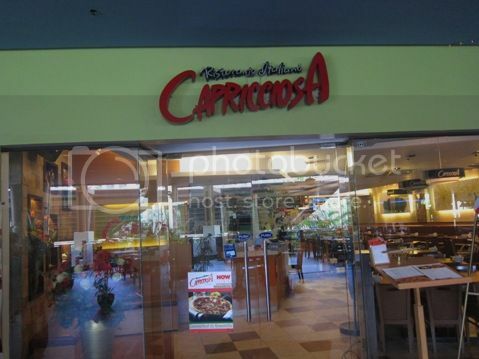 Capricciosa is at the 3rd level of Greenbelt 3. The place was clean, homey and spacious. We were the first customers there, actually. We ordered Seafood Spaghetti and Grilled Chicken with Rosemary. All of us loved this. This is probably one of the best-tasting seafood pasta we’ve had. 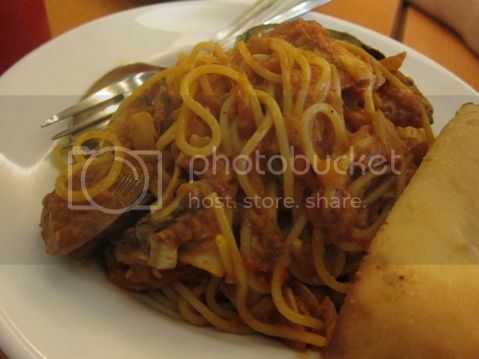 A plate of seafood spaghetti is good for sharing, too. This was really delicious! Of course, my lunch won’t be complete without steamed rice, which was perfect for this delectable dish. 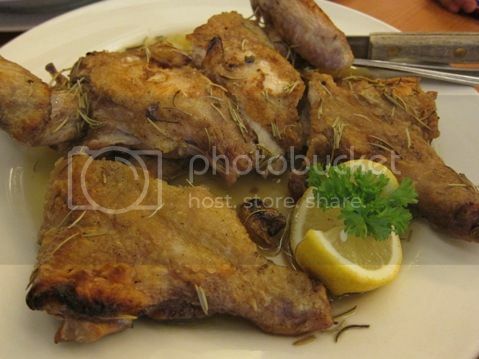 Because we weren’t able to finish the entire chicken during lunch, it was what we had for dinner at home, too. 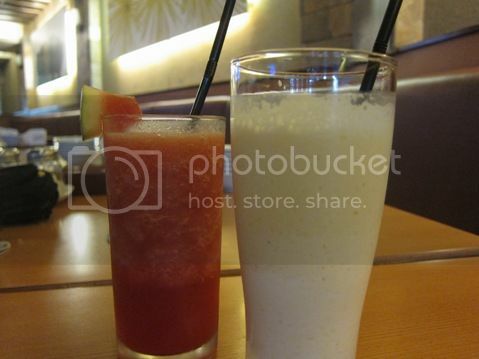 There was nothing special about the drinks, but we enjoyed them nonetheless. Our lunch was a bit pricey, but it was definitely worth it! 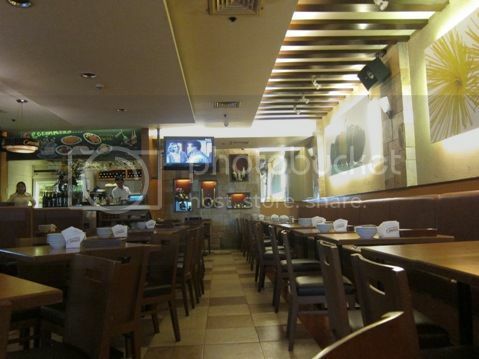 This entry was posted in Capricciosa, Greenbelt, Restaurant Review. Bookmark the permalink. dropping by on your new blog! :d congratulations! Congrats on your new blog and the beautiful template! 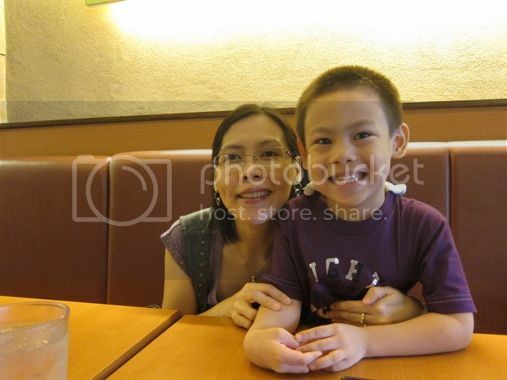 Would love to try that resto out one day too with my family. the food looks yummu! love the design of this blog! I’ve been curious about Capricciosa. Thanks for this entry, now I know what to expect and what to order 🙂 Congratulations Mommy Tetcha! will link this to my food blog.